Nowadays, property closings don’t happen like they used to a few decades back. Of course, most of them are closed in face to face meetings, but many closings nowadays take place virtually, with the aid of money wire services and digital signature of the required paperwork. That being said, at the end of the deal, you will receive a bill of closing costs, so you need to be very well informed on who pays closing costs. In a nutshell, both buyer and seller do, but there are specific differences between their statuses in such a scenario. 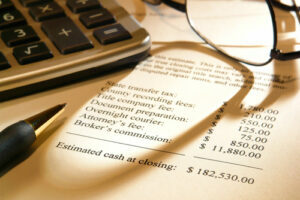 Closing costs differ in type and amount for the buyer and the seller. In your typical closing, the buyer will be faced with a longer list of closing costs after all is said and done, since they are the ones taking out the loan to buy the property. At the same time, sellers end up paying larger amounts in such costs, at the end of the escrow. VA loans, named as such because they are warranted by the VA Department (i.e. the U.S. Department of Veteran Affairs) come with a specific type of closing costs. These loans allow veterans to access funds which would not be normally available to them, as well as to buy a home without any down payment. A VA funding fee can be paid out for purchase and construction loans, refinancing loans, and other types of loans. Veterans who receive at least 10 per cent disability compensation are exempt from such fees and may even receive a refund, if they qualify for disability pay after paying the fee initially. Since closing fees differ widely, from one state to another, from county to county, and even between different lenders located in the same area, it’s difficult to work out the average closing costs across the United States. Usually, it’s a good idea to consult with your lender before even taking out the mortgage and to make use of their closing cost estimator (should they have one). At the same time, buyers will be happy to know that right as the sale begins, they receive a statement, titled ‘Good Faith Estimate’, which provides an approximation of the closing costs they should be facing at the end of the deal. You can actually use this estimate, in order to shop around for better fees, interest rates, and mortgage terms. Good Faith estimate statements only include closing costs faced by the buyer which pertain to the loan itself. Aside from this, buyers may also have to pay property tax, money owed to the local homeowner association, and several other pro-rated expenses. Some of the costs you can expect to face include appraisal and origination fees, pre-paid interest and insurance, tax servicing, flood certification, bank processing fees, title insurance, notary fees, and so on. As a seller, you can expect to pay the largest closing cost of them all: the sales commission. To roughly work this out, you can find out what percentage this will entail and apply it to the final sale price. Aside from this, you might also have to pay off your due property taxes – if you haven’t already.